The very name Nubian (nub) actually means gold. Meet Uncle Ali-For over 25 years he has been the key holder for the gate of the Tomb of Tanutamani, and he will guide us through the royal burial chambers belonging to King Tanwetamani (Tanotamun) and Queen Kalhata at El Kurru, a few kilometers south of Karima, in Sudan. 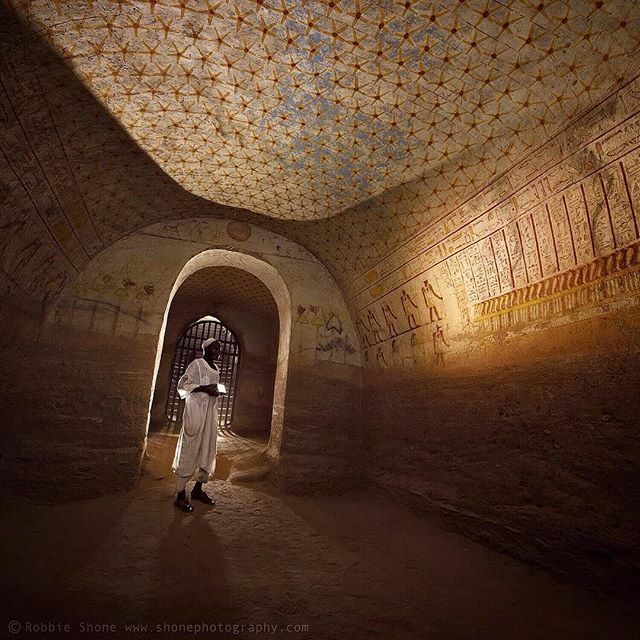 Photograph from inside the Tomb of the Nubian King Tantamani (Tawentamani) at el-Kurru in Sudan, was originally excavated in rock under the pyramids that are now partially collapsed. The tomb is completely decorated with amazing images of the Pharaoh, of the gods and multicolored hieroglyphic inscriptions. Uncle Ali the key holder, illuminates a part of the wall and paintings for us. 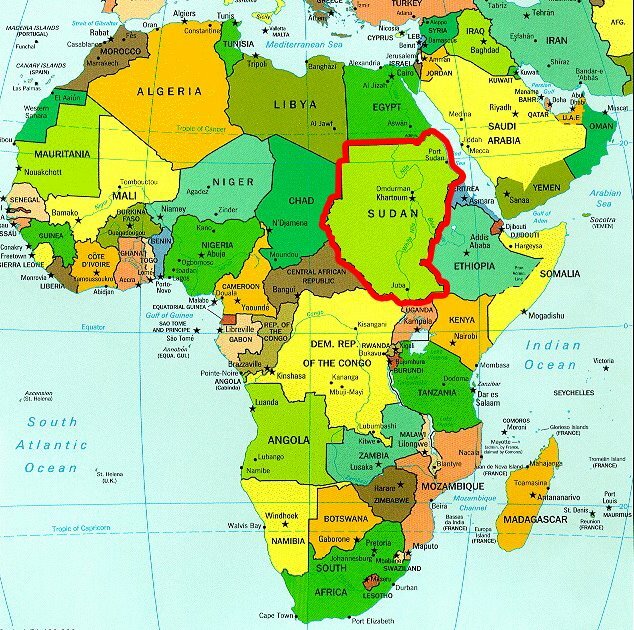 The Kingdom of Kush was an ancient African Nubian kingdom situated on the confluences of the Blue Nile, White Nile and River Atbara in what is now the Republic of Sudan. 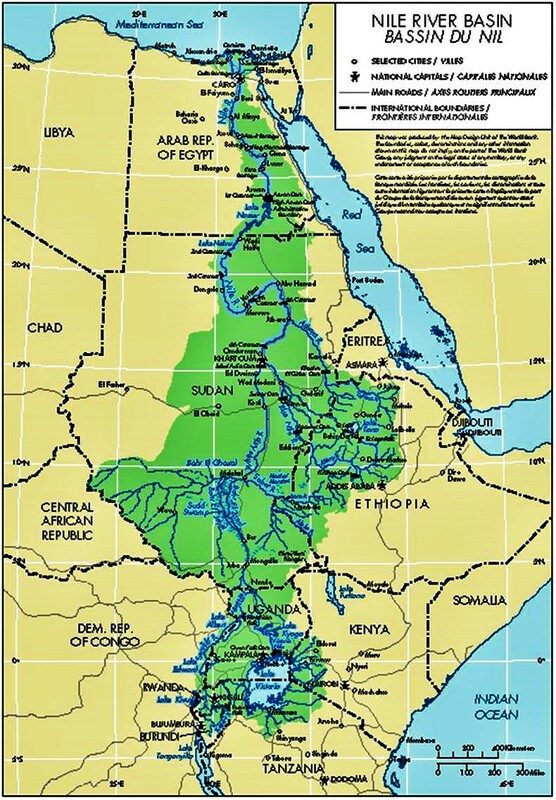 The Nubian rulers, known as the Black Pharaohs, left behind an array of archaeological sites dotted along the River Nile. 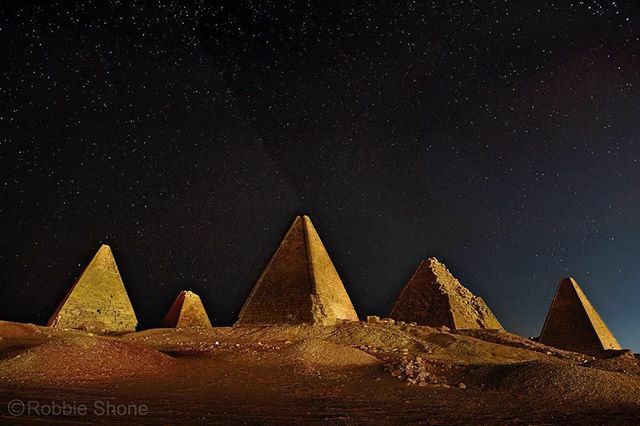 Pictured here and surrounded by golden sands, The Royal Cemetery of pyramids at Karima, Sudan, which date back to the 3rd century B.C. entomb ancient kings and queens of the Meroitic kingdom. Nubian gold – Ancient Nubia’s Kingdom of Kush was Egypt’s rich and powerful neighbor to the south. Egypt’s most common source of gold during the Kush era was Nubia. 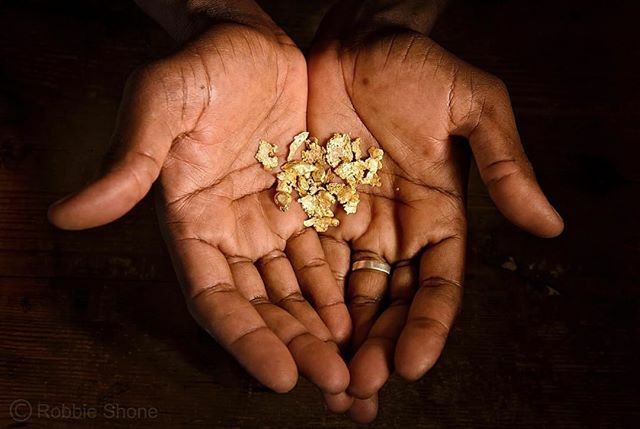 Gold, like today was a sign of wealth and importance. The very name Nubian (nub) actually means gold. Kerma, is one of the largest archaeological sites in ancient Nubia and has produced decades of extensive excavations and research. 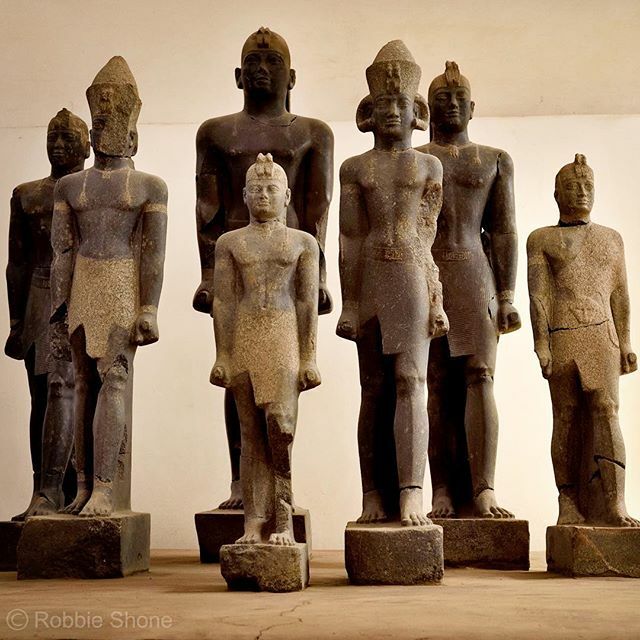 Led by Swiss archaeologist Charles Bonnet and his team, in 2003 giant black granite statues of Nubian kings up to ten feet high (pictured) were found buried at the Nubian capital of Kerma, in Sudan. Smashed during Egyptian King Psamtek II’s incursion south around 593 B.C. they represented pharaohs of the Twenty-fifth Dynasty of Egypt. 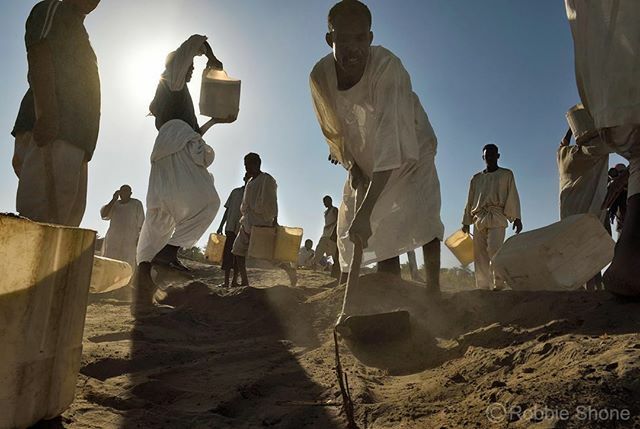 Very close to Kerma, these Sudanese workers excavate material at a new archaeological site called Dukki Geldig. Led by Swiss archaeologist Charles Bonnet, his team hope to unearth more from this ancient civilization. that includes Rwanda, Burundi, Tanzania, Uganda, Democratic Republic of Congo, Kenya, Ethiopia, Eritrea, South Sudan, Sudan and Egypt.